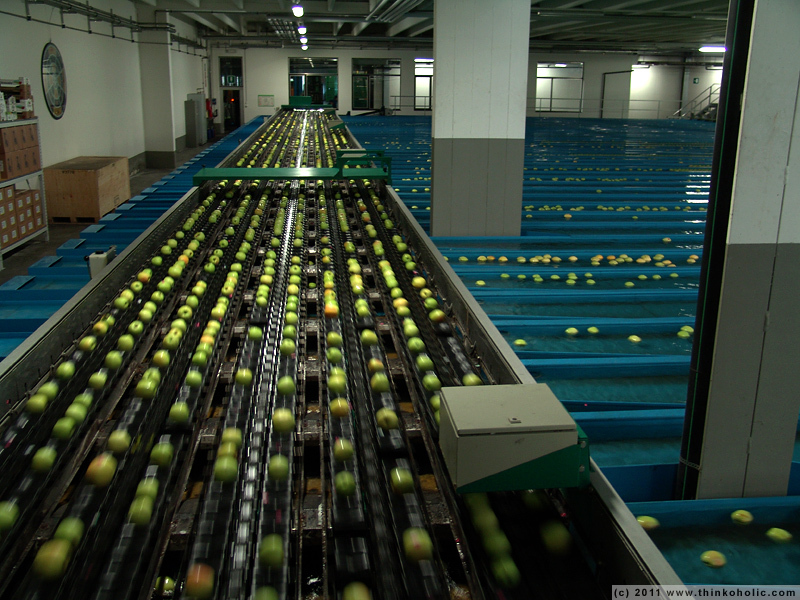 recently got the chance to see a fully automatic apple sorting and grading machine in vinschgau (val venosta), italy. 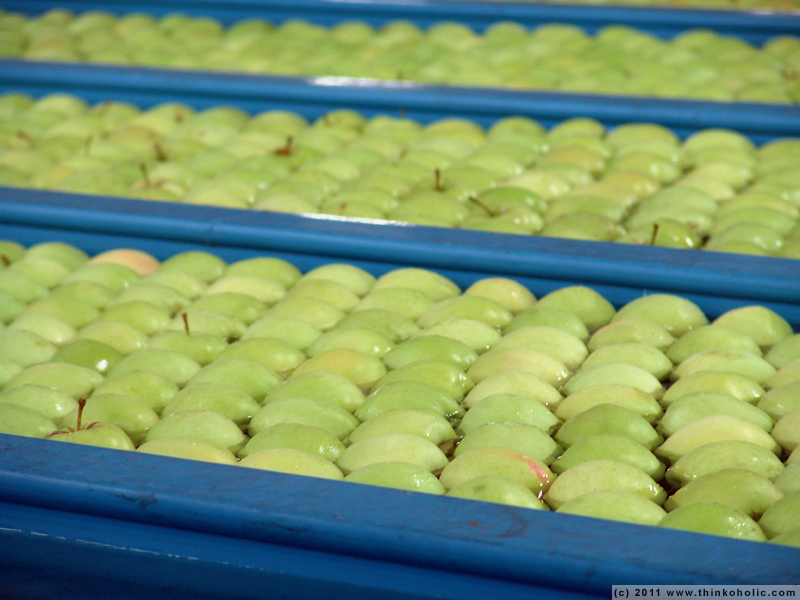 it was quite impressive: on hundreds of individually controlled cups, apples get graded according to weight, size (volume), color hue, quality (dark spots etc. ), then labelled, and finally are sorted into one of countless lanes of floating fruity goodness. 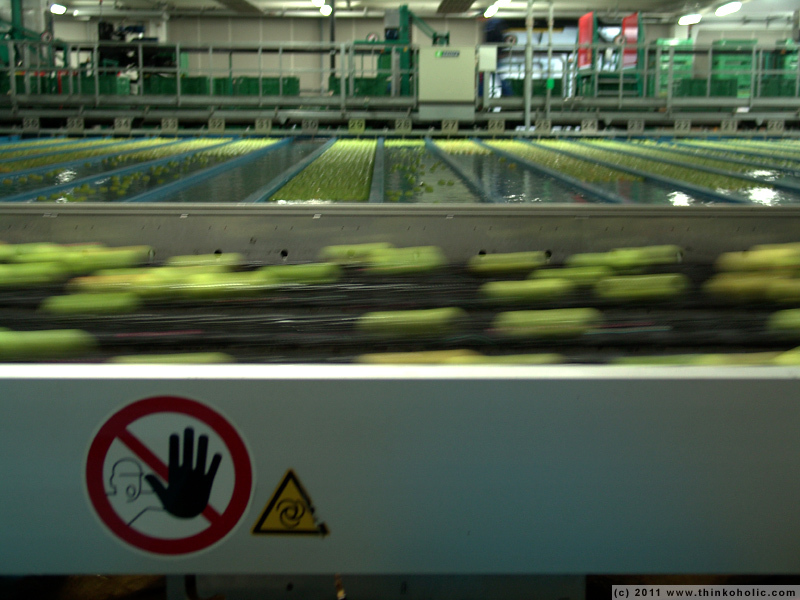 every year, up to 370.000 tons are harvested (all within about 2 weeks) and processed in this or one of several similar factories. they’re stored without the use of chemicals, just above freezing, in a dynamically controlled atmosphere. 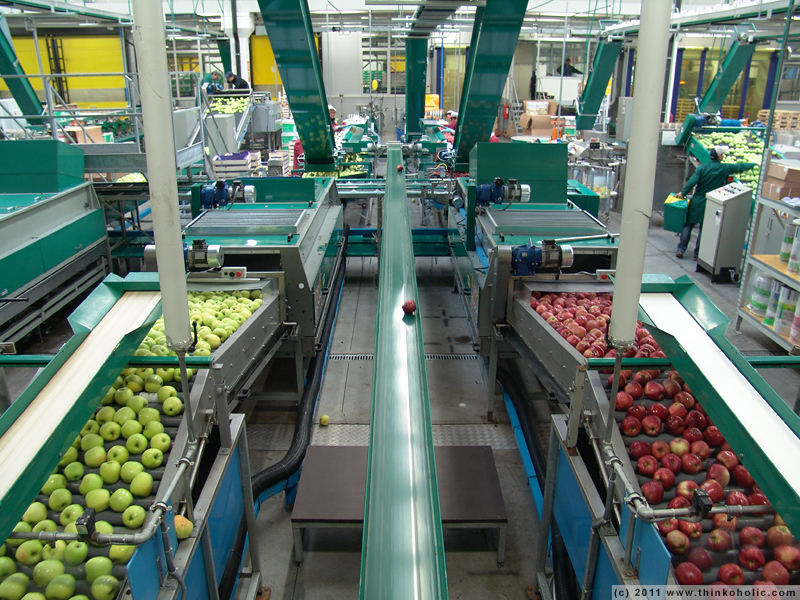 automatic apple sorting machinery. no touchey! apple packaging station. bad apples are sent back through the middle treadmill.